Our handsome bead army necklace has a classic look for classic men! 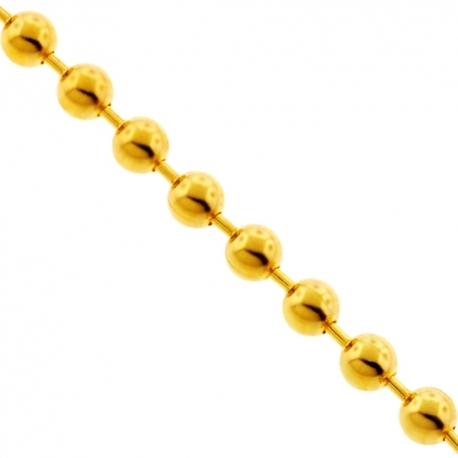 Gorgeously made of Italian 10k yellow gold, it is high-polished for extra shiny finish. 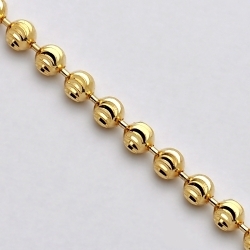 The real yellow gold chain measures 3 mm in width, and available in length of 20, 22, 24 or 26 inches. It is closed by the safest lobster claw clasp. 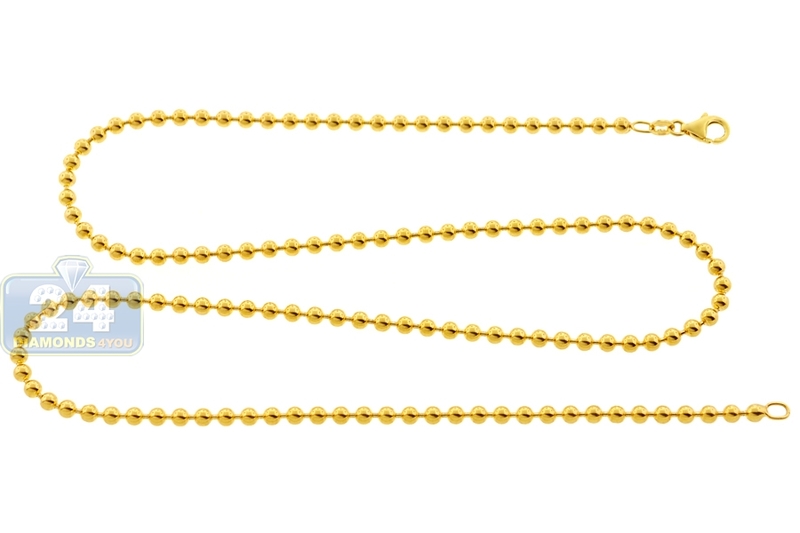 This men's gold chain is an ideal match for favorite pendant! Outstanding quality, good price especially considering the crazy cost of 24 karat gold today. 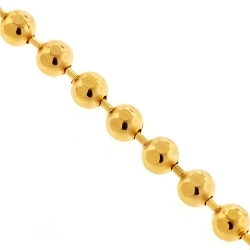 Handsome beaded chain at a reasonable price. What else are you looking for? Buy it here you won't be disappointed.